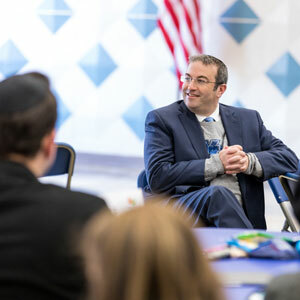 Close to 70 Jewish educators and administrators attended “The HUB,” a conference hosted by Yeshiva University’s Azrieli Graduate School of Jewish Education and Administration to help Orthodox Jewish educators and administrators network and recharge. 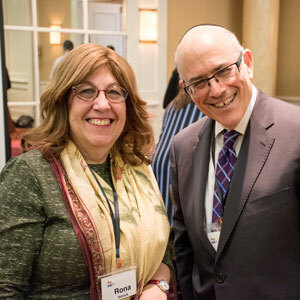 The event, called an “unconvention” for its non-traditional style, was held at the Crowne Plaza Hotel in Englewood, New Jersey, and on YU’s Wilf Campus from February 26-27. 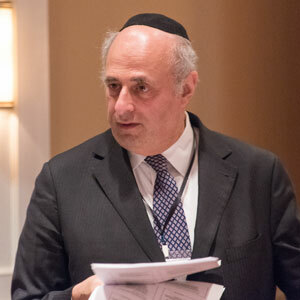 A presentation by Dr. David Pelcovitz, Gwendolyn and Joseph Straus Chair in Psychology and Jewish Education at Azrieli, gave the participants just the kind of insight and assistance Troodler had recommended in a talk on developing skills to handle, in positive ways, the delicate issues of substance abuse, gender issues, trauma, depression and anxiety. On Tuesday, morning sessions offered participants choices to attend paired conversations, which matched two or more individuals with different perspectives on a topic. 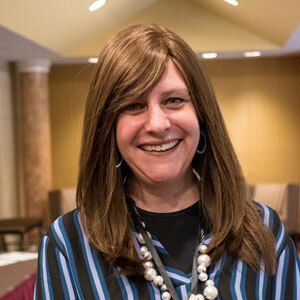 These pairings included experts in the corporate world, non-profit leadership, rabbis and educators, on topics including fundraising, strategic planning, sexuality in teens and innovative pedagogies. After morning sessions at the hotel, the conference moved to the Wilf Campus for “Round-Robin Speed Thinking.” For three sessions of 20 minutes each, participants could visit any of 10 presenters to ask questions and discuss ideas. The “Round-Robin” leaders included Rabbi Daniel Feldman, Rosh Yeshiva (Ethical Issues in Hiring and Firing); Rabbi Yaakov Glasser, David Mitzner Dean of CJF (Inserting the Experiential Into Jewish Education); Dr. Scott Goldberg, associate professor of Jewish education, Azrieli (Hebrew Literacy Essentials); CB Neugroschl, head of school, Samuel H. Wang YU High School for Girls (Inclusion of Diverse Learners); Rabbi Menachem Penner, Max and Marion Grill Dean of Rabbi Isaac Elchanan Theological Seminary [RIETS] (Tefilah); Dr. Eli Shapiro, Digital Citizenship (Technology Use and Overuse); Dr. Moshe Sokolow, Fanya Gottesfeld-Heller Professor of Jewish Education and associate dean, Azrieli (Teaching Israel Today); Michael Strauss, interim dean, Sy Syms School of Business (Entrepreneurship in Jewish Schools); Tikvah Weiner, head of school at the Idea Schools, and Rivka Press Schwartz, associate principal, general studies at SAR High School (Power, Privilege & Gender); and Rabbi Mordechai Willing, Rabbi Dr. Sol Roth Chair in Talmud and Contemporary Halakhah, Rosh Yeshiva and lecturer in Talmud (Practical Halacha for Educators). 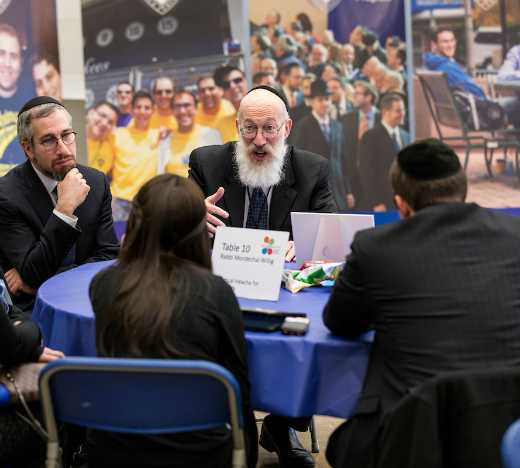 On the evening of the second day, many of the HUB participants set up tables at the Jewish Job Fair, the largest event of its kind in the United States, where 175 job seekers met with 100 organizations. 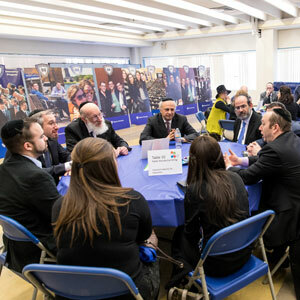 The Job Fair is a collaboration among Azrieli, CJF, Bernard Revel Graduate School of Jewish Studies, RIETS and Wurzweiler School of Social Work.